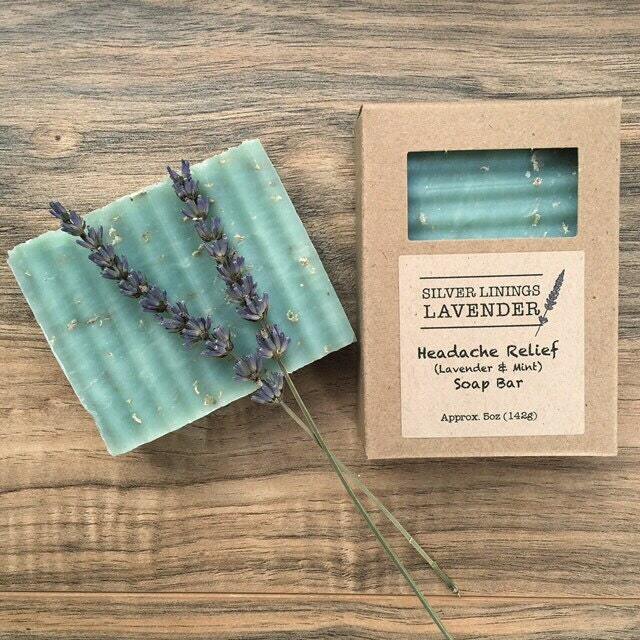 This listing is for an All-Natural Lavender & Mint (Headache Relief) Soap Bar. Purchasing options include: single and triple quantities (recommended). 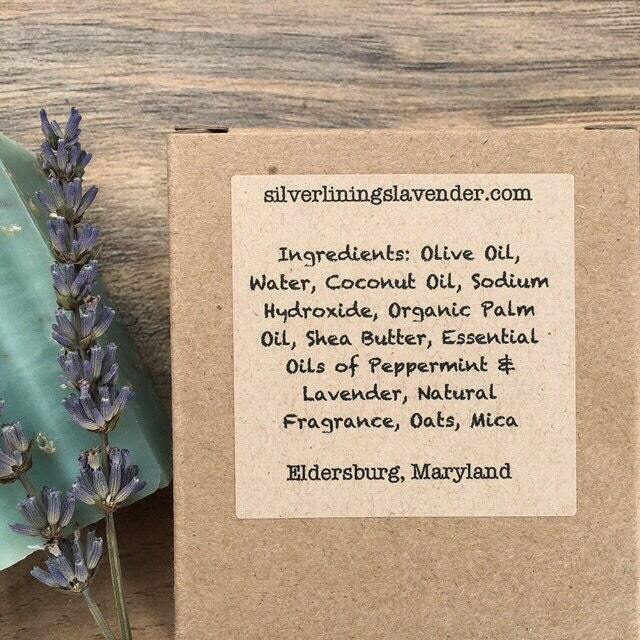 This soap is expertly handcrafted with lavender and peppermint essential oils - giving it a natural, clean fragrance consisting of gorgeous lavender flowers, coupled with cool, fresh mint. Recipe for Relaxation: Use this soap in a warm bubble bath, or a hot, sauna-like shower; lather up, close your eyes, and breathe in bliss. Pair with our Headache Relief Aromatherapy Roller for the ultimate spa retreat or self-care experience. LOVE using this soap in the shower!! I will definitely be back for more! I bought this for my husband because he loves minty scents. But he's very picky about his soap. I can say, however, that he truly loves this soap. I'm so happy with it and he is too. Lovely scent. Well packaged and worth the wait.